Kerry-Anne graduated from Heriot-Watt University in 1995 and went on to qualify as a Chartered Accountant becoming a Member of the Institute of Chartered Accountants in Scotland in 1999. Avondale Solutions was set up by Kerry-Anne during 2011 in order to expand the services offered to her consultancy clients and facilitate working with associates on projects that require additional resource and expertise. Previously Kerry Anne was Managing Director of Augentius Fund Administration (Guernsey) Limited and Augentius Trust Company (Guernsey) Limited. At Augentius she was instrumental in assisting the fund administration company substantially grow assets under administration leading to being awarded the industry recognition of Private Equity Administrator of the year in 2008 and 2009. Kerry-Anne also held the position of Financial Controller for HSBC Private Bank (funds) and has acted as Compliance Officer and MLRO in previous roles. 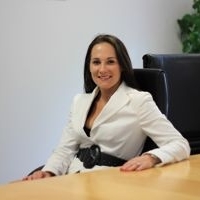 Over the years Kerry-Anne has sat on a variety of Boards and has obtained relevant qualifications to compliment her experience including the MLRO Diploma, Diploma in Trust Creation (Law and Practice) and the Investment Management Certificate. Kerry-Anne is also a member of the Institute of Directors and provides Non-Executive Directorship Services. Through Avondale Solutions Kerry-Anne has been successful in providing a suite of services that enable people and businesses to set up structures offshore. Her expertise in regulation and compliance has also provided solutions to businesses looking to restructure or undertake regulatory projects. Avondale Solutions also provides ongoing compliance and MLRO support. If you require more information about our range of services, then please contact us.